Habitat for Humanity Armenia is committed to providing housing solutions for families in need of a decent and affordable place to live. 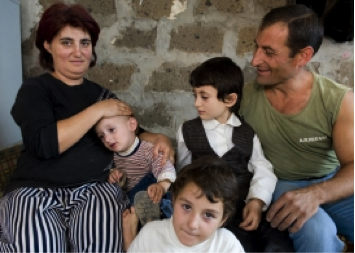 Habitat has implemented various projects in Armenia since 2000, many of them through partnerships. Habitat Armenia´s partners include individual volunteers, Armenian diaspora abroad, like-minded organizations, the Armenian Apostolic Church, government officials and foreign embassies, as well as financial partners. Morris Habitat volunteers renovated a home in Armenia on a Global Village Trip in 2015. The housing situation in Armenia was influenced largely by the conflict with Azerbaijan over Nagorno Karabakh in the early 1990s, with estimated 350,000 refugees. Before, the devastating 1988 Spitak earthquake destroyed or damaged much of the housing stock in the north of the country, mostly in the cities of Gumry and Vanadzor. 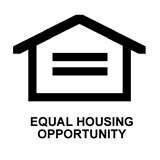 About 17% of the nation’s housing stock was affected. Armenia experienced the most radical housing privatization of all Europe and Central Asia countries with more than 46% of the total housing stock, 390,000 units, handed over from the state to the sitting tenants between 1991 and 1999. Dwellings were transformed to private property almost free of charge. As a result, Armenia is today a ‘super home-ownership’ state with an owner occupancy rate of almost 96%, and 98% in Yerevan. However, many tenants are cashpoor and cannot afford to maintain their property. Typically, Habitat Armenia works with low-income families to build or renovate homes that are paid for over time by affordable mortgages or loans. Habitat Armenia tackles poverty housing through the implementation of various projects. It aims to help lowincome families renovate and repair their homes, complete unfinished homes, improve energy efficiency, water and sanitation facilities in the homes and apartments. A significant part of the housing stock in Armenia is in deplorable condition and continues to deteriorate. The drop in household income accompanying the economic transition of the 1990s eliminated investment in housing repairs and maintenance. It was combined with a lack of households’ experience in regard to ownership responsibilities. Habitat for Humanity Armenia works with the Homeowner Associations on projects to renovate common areas and individual apartments in the multi-apartment buildings. Residential heating accounts for more than 30 percent of energy use in most countries of the region as previous construction and heating methods did not focus on energy efficiency. A highly inefficient energy use intensifies the impact of rising energy prices on low-income households. Habitat Armenia implements a project focused on decreasing energy costs of the buildings. Habitat’s Disaster Preparedness and Response Strategy in Armenia has been established to define the basic principles, standards as well as developmental and collaborative framework to be implemented by Habitat for Humanity Armenia in its disaster response program. Currently, Armenia is a member of Extended Disaster Management Team and National Platform and is a member in Shelter, Early Recovery and WASH Clusters. For more than ten years, Arsen Yeganyan’s family had to share their home with a larger family of 16 members. In the 1990s they started building their own house. Prior to the partnership with Habitat, their house had a dilapidated bathroom unit, an outside toilet, kitchen and living room with concrete floors and walls. The family members are hardworking people and they are used to do everything with their own hands and spare no efforts in order to minimize the expenses. Habitat Armenia became a “beacon” for the Yeganyans to improve their housing conditions. For five days, a Global Village team of international volunteers joined efforts and built hand-in-hand with the family. Now they have a renovated home and a secure shelter for the generations to come.